The Oaks at Parkview is an active lifestyle community in Olive Branch, Mississippi. The Oaks at Parkview features low-maintenance homes, clubhouse, and social lifestyle. Homebuyers can find affordable new and resale homes that offer one-story living in a charming community located near an urban area that also has easy access to interesting attractions and shopping. Residents have access to the community's clubhouse that is the central hub of social and physical activity. Homeowners can skip driving to the gym or avoid paying membership fees by utilizing the exercise room. The exercise room is equipped with weight-training and cardiovascular machines that help support a healthy lifestyle. Residents can also mingle with neighbors in the multi-purpose room and play some poker on the card tables or just relax with the latest novel. And when hunger strikes, they can prepare a snack in the catering kitchen. The Oaks at Parkview has a beautiful outdoor pool and spacious patio where homeowners can relax and enjoy the sunshine. They can also take strolls along the community's walking and biking trails to get some fresh air. Epcon Communities began construction of The Oaks at Parkview in 2008 and plans to build 148 attached residences. Homebuyers can choose from four modern floor plans that offer spacious master suites, plenty of storage space, patios, and energy-efficient designs. These inviting living areas offer just the right amount of space for entertaining family and guests. Attached homes within the Classic Series offer between 1,325 and 1,925 square feet of living space. These homes have one to three bedrooms, one-and-a-half to two-and-a-half bathrooms, and an attached two-car garage. These homes feature open living areas and walk-in closets in the master suites. The Chateau model features an optional second floor with a third bedroom. Homes within the Cathedral Series feature vaulted ceilings, expansive floor plans, luxurious fixtures, and comfortable sunrooms. They offer between 1,700 and 1,850 square feet and have two or three bedrooms, two bathrooms, and an attached two-car garage. Homeowners can stay active hanging out at the clubhouse and participating in activities and events. Residents can play bingo, bunco, and card games or attend weekly events such as ladies coffee, men's breakfast, and men's coffee. There are also seasonal events and holiday parties as well as potlucks held throughout the year. The homeowners association (HOA) allows residents to have more free time to enjoy fun events. 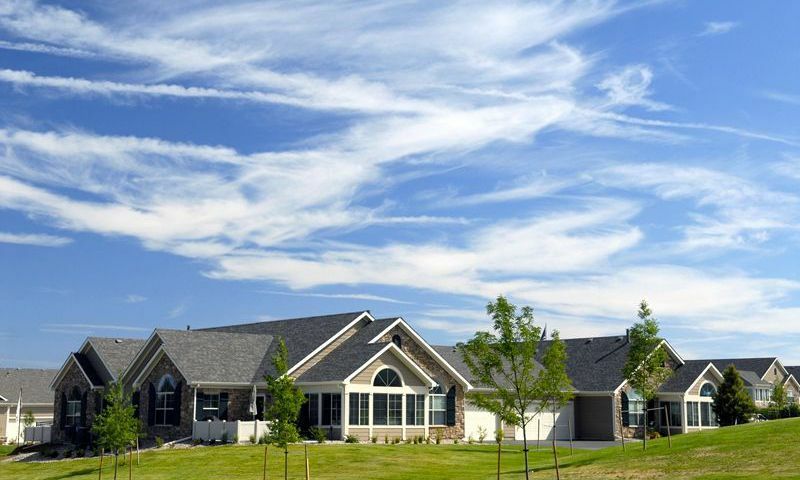 The HOA fee includes exterior-home maintenance, landscaping, and access to community amenities. The Oaks at Parkview is ideally located in Olive Branch, MS just outside Memphis, Tennessee. Homeowners have convenient access to many restaurants, stores, and attractions. The Oaks at Parkview is located minutes away from U.S. Highway 78 and other major roadways, which makes getting around the area a breeze. Nearby golf courses include Cherokee Valley Golf Club, Plantation Golf Club, and Olive Branch Country Club that are less than ten minutes away. Old Towne District and the DeSoto Trail can be reached in three minutes. For farther travel, the Memphis International Airport is only a ten-minute drive from the community. Homebuyers can enjoy easy access to everything they need and want while living in a charming, low-maintenance active lifestyle community in DeSoto County, Mississippi. There are plenty of activities available in The Oaks at Parkview. Here is a sample of some of the clubs, activities and classes offered here. Attached homes within the Classic Series offer between 1,325 and 1,925 square feet of living space. These homes have one to three bedrooms, one-and-a-half to two-and-a-half bathrooms, and an attached two-car garage. These homes feature open living areas, walk-in closets in the master suite, patios, and luxurious fixtures. The Chateau model features an optional second floor with a third bedroom. Homes within the Cathedral Series feature vaulted ceilings, expansive floor plans, sunrooms, and plenty of storage space. They offer between 1,700 and 1,850 square feet and have two or three bedrooms, two bathrooms, and an attached two-car garage. Homes were very nice in here and got a chance to see the clubhouse. Overall, I would definitely live here and have a great time. Talked with a few of the neighbors and they all love it here and are very friendly. 55places.com is not affiliated with the developer(s) or homeowners association of The Oaks at Parkview. The information you submit is distributed to a 55places.com Partner Agent, who is a licensed real estate agent. The information regarding The Oaks at Parkview has not been verified or approved by the developer or homeowners association. Please verify all information prior to purchasing. 55places.com is not responsible for any errors regarding the information displayed on this website.